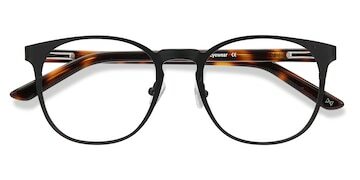 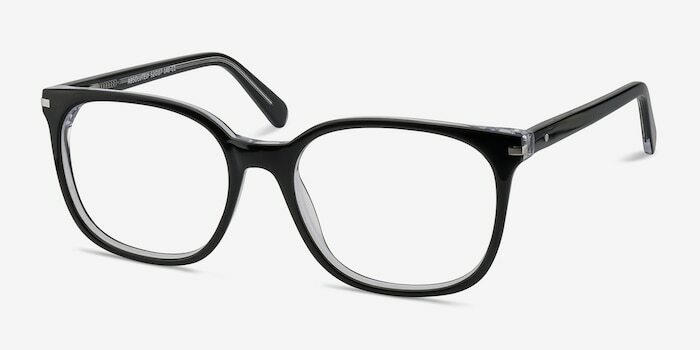 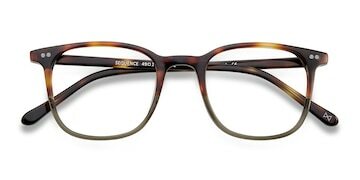 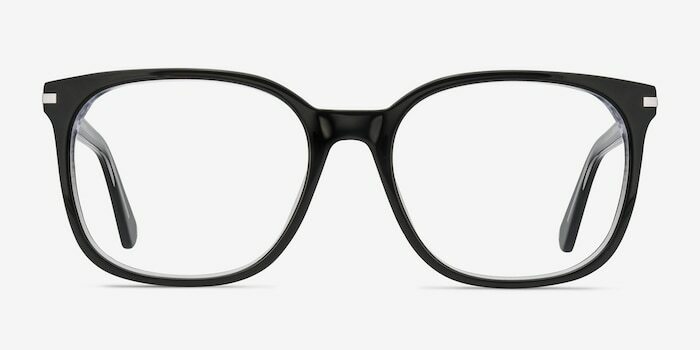 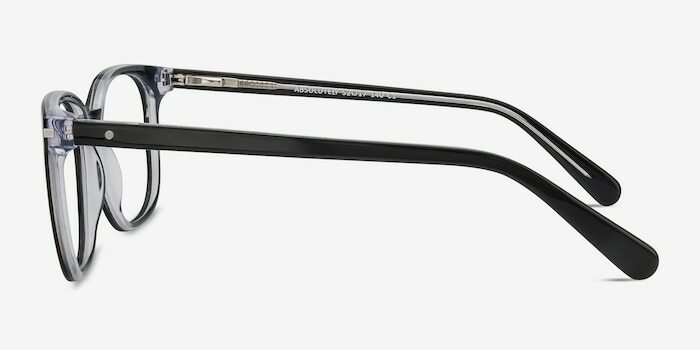 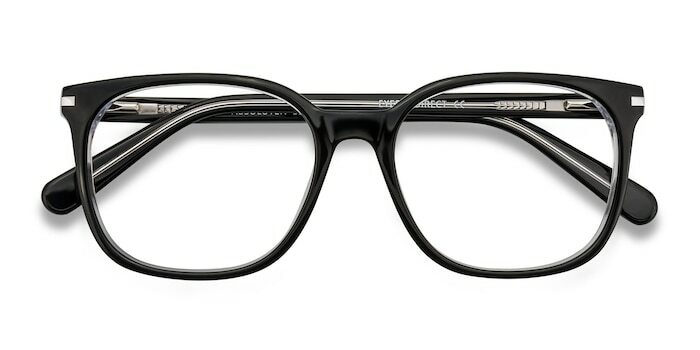 These specs feature a traditional square lens shape, ready to lift any look. 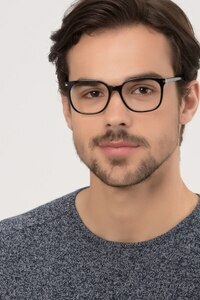 The striped pattern of these acetate eyeglasses flows together with a stunning ocean tide color palette, shifting from dark blue to turquoise. 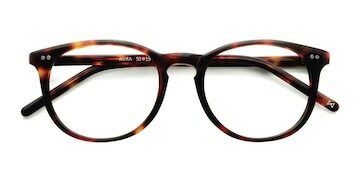 Discrete silver stud accents on the front and hinges complete this style.